This one is going to be hard to write. The Wee One and I are flying to be with my folks over the Christmas holiday, and then flying to be with Cohiba’s family over and into the New Year. This is not normally how we do holidays, but this is the way it has to happen this year. She and I leave on Friday, and I’m quite anxious about the trip out. In light of that, today’s Top 10 Tuesday focuses on the good things about being alone with a baby when traveling (flying). Because, flying with a baby, even with a partner, is a feat. Inspired by a letter to Santa from a 10 month old baby, this week I am imagining what my Wee One would like for Christmas. Mirrors. She loves mirrors. She geeks out whenever she spys her reflection in something, and I hope that she always looks upon herself with such glee. A piece of yarn. She’ll hold it over her head, twist her hand around to watch it fall, put the end of it in her mouth. Its precious. An iphone. I rarely let her play with mine, which only increases the attraction, I know. Hence its place on her wish list. A go-go-gadget extendable arm. Something that will allow her to reach the little things like candles and keys and machetes that mom puts a little too far away. A disembodied head. Something with hair she can pull with impunity, a mouth she can fishhook, and eyes she can gouge. Paper. Lots of paper to crinkle and eat. A cord. Any kind will do: computer, vacuum, TV. Buttons. She just recently found them (sewn onto a shirt!) but I think she would like to see more. And maybe off a shirt, so she can just look at the whole button on its own. The nine month sleep regression is upon Sahara’s household, and God help us, please don’t last long. It’s iike I have a newborn again. In effort to look on the positive, as I am intentional about doing when it pertains to my Wee One, I’m going to find 10 good things about being up so much during the night. Just call me Pollyanna. 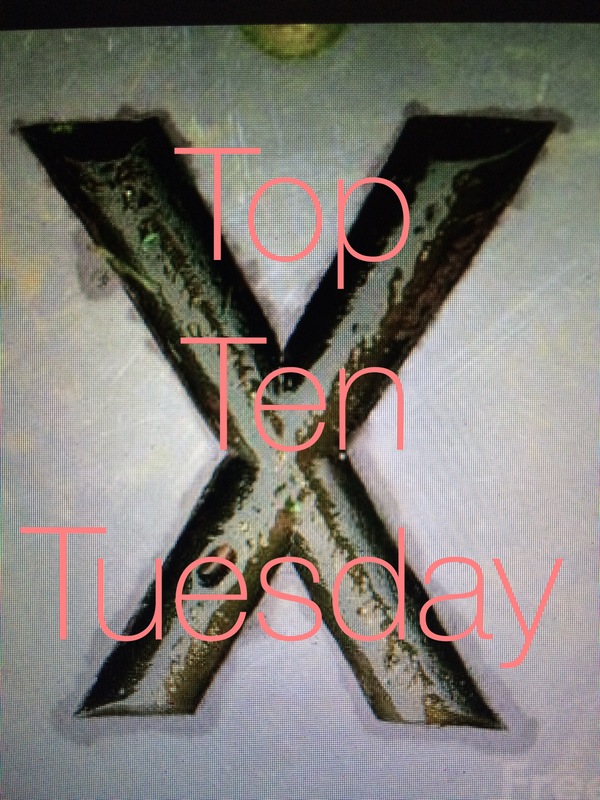 This week’s Top 10 Tuesday focuses on characters I would name future children after. Little mini-mes and mini-Cohibas.